Two significant developments highlight the growing global momentum behind efforts to cut greenhouse gas (GHG) emissions. First, China’s central government on February 29 announced it will scale down coal and steel production capacity by 500 million and 150 million tons, respectively. 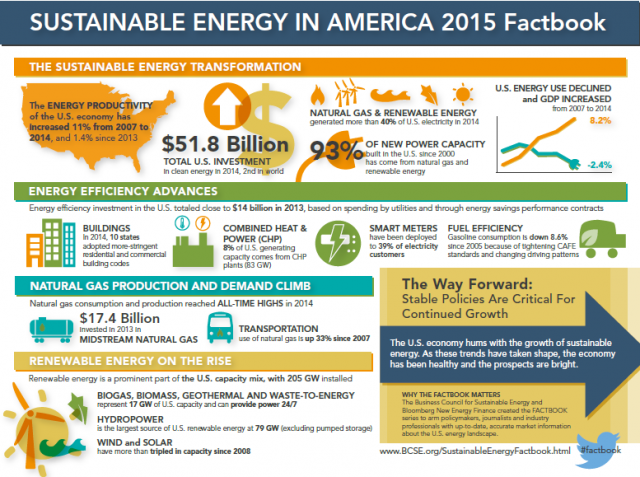 Second item of note: U.S. wind power capacity reached 75 MW in 2015 and generated about 190 MWh of clean, renewable energy in 2015 – enough to power some 17.5 million homes. Iowa became the first state in which wind power supplied over 30% of annual electricity needs, and Governor Terry Branstad sees that increasing above 40% over the next five years. China’s latest attempt to cut overcapacity, GHG emissions and pollution won’t come without some economic pain, though the government is taking measures to alleviate it. Some 1.3 million coal and around 500,000 steel industry workers are to lose their jobs. The central government has said the workers will be ¨reallocated,¨ and it has set up a 100 billion yuan ($15.3 billion) fund to help those who lose their jobs to resettle over the ensuing two years. Coincidentally, wind power generation is rising fast in China. The country ranked second worldwide among nations last year as wind power production totaled 185.1 MWh. Germany ranked third at 84.6 MWh. The amount of wind power also rose across the U.S. last year, increasing to account for 4.7% of national electricity generation. In addition to wind power accounting for 31% of Iowa’s electricity generation, wind power supplied 15% or more of electricity in eight states. 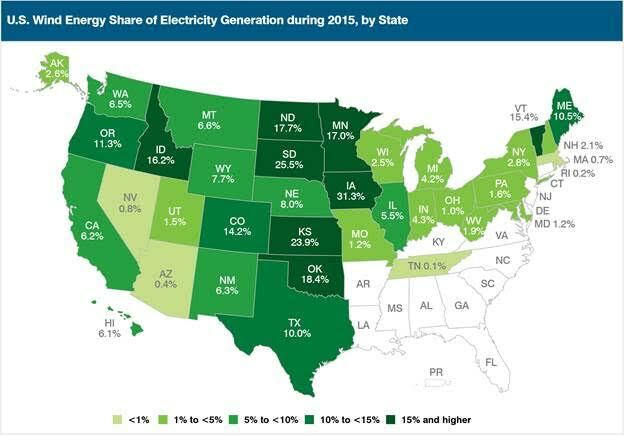 Wind power accounted for more than 5%, with Texas, Maine and Vermont producing 10% or more of electricity needs from wind energy for the first time. Electricity costs have stayed below their 2009 level while power sector emissions reached a new low even as variable, or intermittent, wind power capacity has increased. Growing use of wind energy is also generating good-paying jobs. Some 73,000 Americans had jobs in the U.S. wind power sector in 2015. The U.S. DOE estimates the industry could support 380,000 by 2030 as wind power increases to 20% of national generation capacity. Industrial customers paid 7.1 cents/kWh for electricity in the U.S. on average in 2015, lower than corresponding costs in other major industrial economies, including Germany, China and India, the report authors point out. In and of itself, that makes the U.S. a comparatively more attractive location for power intensive industrial companies. “As states plan for low-cost solutions to cut carbon emissions, real-world evidence shows wind energy helps to reliably keep the lights on for American homes and businesses throughout the country,” Kiernan commented. “We are proud of Iowa’s leadership in wind energy,” Iowa Governor Terry Branstad stated. Branstad also serves as Chairman of the national Governor’s Wind and Solar Energy Coalition.